It is easy to forget that your driver's license expires after a certain number of years! Make sure that you keep an eye on the expiration date from time to time, so that you can apply for a renewal of your license before it expires. You don't want to get caught driving with an expired license. But if you do, A. Bishop Law can help you! An expired Georgia Driver’s License should be renewed as soon as you discover the renewal date has passed. A citation for driving with an expired license could potentially result in a costly fine. An expired license should not be confused with a suspended or cancelled license. You may refer to our Driving on a Suspended License section for more information on suspended licenses. The law requires Georgia drivers to have a valid driver’s license to operate any motor vehicle on highways and streets. O.C.G.A. § 40-5-20. It is illegal to drive on an expired license and if you do, you will face the penalties if you are caught and convicted. The best case scenario is to get your license renewed and take it to your hearing. If you can produce a valid driver’s license in court at the time of your hearing, then you may not be guilty of this criminal charge. However, if you cannot renew your driver’s license, you may be faced with a potential suspended license issue. We understand that having a suspended license is very inconvenient, but if you drive on a suspended license, the penalties you face are much more serious. It is important to keep your driving record free from additional points. 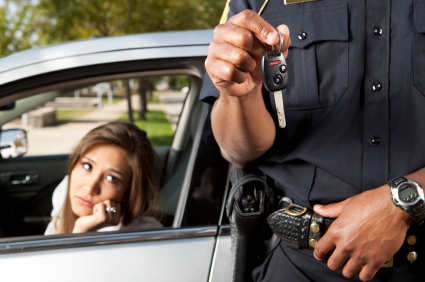 If your license is expired and you cannot renew it, we can discuss your options. You may refer to our Driving on a Suspended License section for more information on suspended licenses. (4) Vision test, for applicants age 64 or older. (4) Change of name documents, if applicable. *Note: All documents provided must be original or certified copies. Photocopies will not be accepted. **Note: The DDS website (http://www.dds.ga.gov/secureid/accepteddocs.aspx) provides a list of acceptable documents for your application. Applicants for a renewal license will be issued a temporary license while their application is being processed. At A. Bishop Law, our Georgia Criminal Defense Traffic Ticket Attorneys welcome any questions on Georgia Speeding Ticket and Georgia DUI laws. Please Call or Email us with any questions, your initial consultation is free and confidential.